Written by Catherine Frame for the Spring 2018 edition of our Trail Times Newsletter. Well, I finally did it! I made it through most of the Colorado winter, completed a series of four races – each one progressively longer – and I loved it! This chilly time of year has always been a struggle for me; in the past, I have spent too much time wishing the winter days would end and it would finally be any other season. Even though I love the beauty of winter as I marvel at the seasonal changes to the mountains, and the holiday festivities, most years I almost entirely stop participating in the physical activities that bring me pleasure (it’s not the trips to the gym, but the activities that satisfy my desire to be in the outdoors that I’m referring to). My excuse is that it’s either too cold, or there’s not enough daylight by the time I get home from work. When I moved to Colorado almost four years ago, I challenged myself to find something in the winter to get excited about and keep me active. After all, Colorado seemed to be a winter sports mecca, and surely I could find at least one activity that would keep the endorphins pumping while fending off my winter blues. I decided to pick up skiing! For me, skiing offered the challenge of learning new body control techniques, a closeness to the mountains, a community of people, and moderate cardio exercise. This past May, I also discovered trail running. The same things I loved about skiing, I found in trail running, except there’s no expensive gear, nor lift tickets required – and the sport isn’t restricted to a single season! Back in October, a friend suggested I consider the Pikes Peak Road Runners “Winter Series.” I had my reservations about committing four of my Saturday mornings to running in the dead of winter, not to mention all the training I would need to do in freezing temperatures, after dark, and following a long day of work. But, I decided to commit to the series and the necessary training to conquer the challenges I would face (each race being my longest to date). I’m so glad I was encouraged to do these races! If you live near the Front Range, I recommend participating in this fun race series held in four different regions throughout Colorado Springs. The series attracts a wide range of running abilities and ages and offers both a short and long option. The distances are roughly 3.3 miles, 4 miles, 5 miles and 6.2 miles for the short series, and twice that distance for the long series. 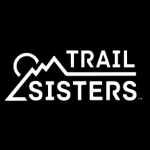 I participated in the short series and provide below a description of the courses and venues as well as lessons and tips I learned as a beginning trail runner. 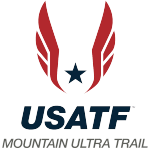 This race takes place in the foothills of the Cheyenne Mountain State Park. The course starts at the Visitors’ Center with a short downhill section on a wide paved road, and after 0.4 miles transitions to dirt single-track trails for the remainder of the course. There’s a moderately steep, technical climb, with 300 feet of elevation gain in a little over a mile. The course undulates for a while, then loops back downhill for the remainder of the distance. This year the race saw record participation, making the maneuvering on the single track trails a bit more challenging. Maintain awareness of the individuals around you. For trail racing, the etiquette is to stay to the right and pass on the left. 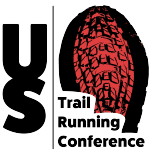 It seemed that many of the experienced runners were aware of this protocol, but not all the racers were following it – I heard a few frustrated people describe how they couldn’t get around other runners who were in the center of the trail. Constantly watch your footing, and don’t forget this for even a second! Depending on the amount of twists and turns in the trail, and the people in front of you, it can be difficult to look far enough ahead to anticipate obstacles. So, be prepared to lift your feet, or quickly change the direction of your step to avoid barriers existing on the trails. This loop course is mostly on smooth dirt and gravel trails. The first mile consists of a gradual uphill climb and peaks with a short steep section where racers find some beautiful vistas of Colorado Springs. The second mile contains a fairly steep downhill section followed by some gradual rolling hills. The third mile is gradual uphill and is followed by a gradual downhill that leads back to the finish line. Lessons and Tips: At the age of 29, I’m still learning to tie my shoes the right way. Just before the race started, a more experienced friend of mine stopped me to tell me I should tie my shoes differently. Regardless of the many different techniques and knots for tying the laces, the tip she shared with me before this race was to tie the shoelaces extra tight and then tuck the loops and loose ends under the crosses of the laces. This prevents the laces from flopping around with each step and minimizes the possibility of the knot coming undone. Obviously loose laces are a tripping hazard and no one wants to stop to tie their shoelaces during a race. This out-and-back style race follows the Pikes Peak Greenway Trail. This year the course headed north with minimal elevation gain (less than 100 feet), and then backtracked to the start line. This was the least technical of the races, but on race day temperatures were in the teens and snow was coming down for the entirety of the race. The race is mostly on dirt and gravel, with short sections of paved sidewalk and a couple of wooden bridges, and there were sections that were quite slick. Lessons and Tips: Wearing the appropriate gear is key. Andrew Simmons wrote about this topic in the last issue of Trail Times, but choosing the right things to wear comes down to a little bit of experience on what works for you. Traction – when conditions are slick, traction becomes a safety requirement. Not all the racers used traction devices, but it seemed like there were sections of the course where traction was certainly beneficial. Some racers I saw used the style that stretched over the sole of the shoe and contained either coils or metal spikes to dig into ice and slick areas. I ended up using a product that can be screwed into the bottom of the shoes – Icespikes – and I felt pretty confident that this choice kept me from slipping throughout the race. Layering – knowing how to predict the proper clothing is very important to stay warm enough, but also to prevent overheating, restricted movement, and carrying excess weight during the race. I ended up wearing too many layers and overheated in the first mile of the race. Eye protection – important in all conditions. Even though it was overcast, I found that wearing clear eye protection was helpful in keeping the snowflakes from blowing into my eyes. For the sunnier race days, I used darker tinted lenses to counteract the brightness. This course takes place in the Black Forest neighborhood. It consists of rolling hills (around 500 feet of total elevation gain), with a mixture of dirt and paved roads. There are exposed sections where racers will likely experience strong winds, and there’s always a chance of ice on the course since it takes place at the end of February and starts at an elevation of 7,400 feet. One particularly sobering fact about this course is that it takes place in the same location where a wildfire in 2013, destroyed 14,000 acres of land and over 500 homes – a reminder of how fragile and precious our parks and public lands are. Lessons and Tips: Adjust race expectations to the conditions. Wind speeds were an average of 19 miles per hour the morning of the race with gusts of over 30 miles per hour! A very tall friend of mine said that a woman was trying to draft behind him to stay shielded from the wind. If you can draft behind a tall person, give that a try. Otherwise, recognize that you may not achieve your expected race time, and that’s okay. Running with a group of friends can be fun! I ended up running the race with a group and the most fun part of the series was getting to share the experiences and lessons with other people.